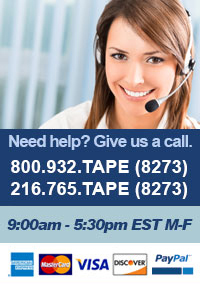 Avery 2 X 4 Laser Label 1000/BX (5163) : Disk-O-Tape, Inc. 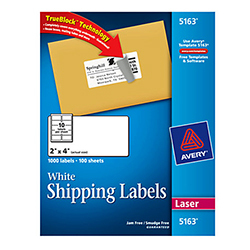 Using Avery 5163 White parcel labels, you can print professional-looking, anti-jam, anti-smudge labels from your laser printer. And with TrueBlock technology, these bright white labels completely block out any writing underneath, so your mail has a neat and professional appearance.